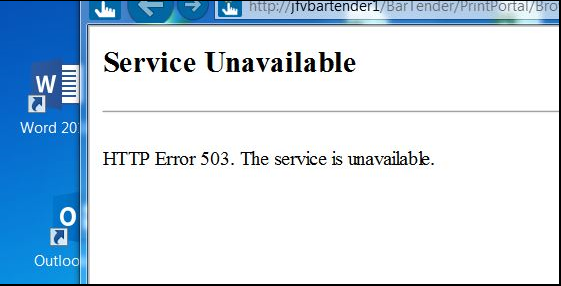 This Error Message Article explains the BarTender error message “Service Unavailable, HTTP Error 503” and details how to fix the underlying problem that caused it to appear. 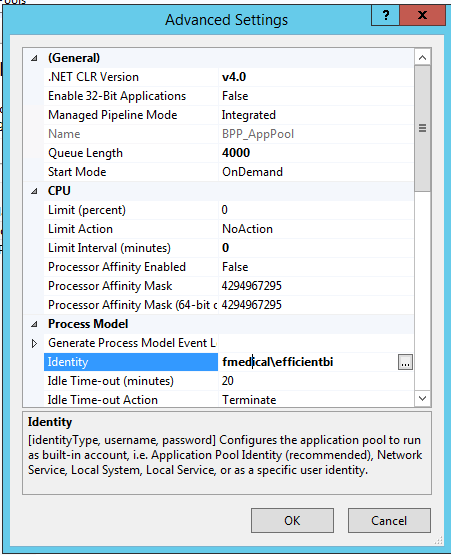 The application pool BBP_AppPool in IIS is not started. One possible reason for this is the identity settings for the pool (user ID and password) are incorrect. First, try to restart the AppPool by right-click/Start. If that does not work, check the settings for Identity. Make sure that the account used for the Identity for the AppPool is correctly set (password).